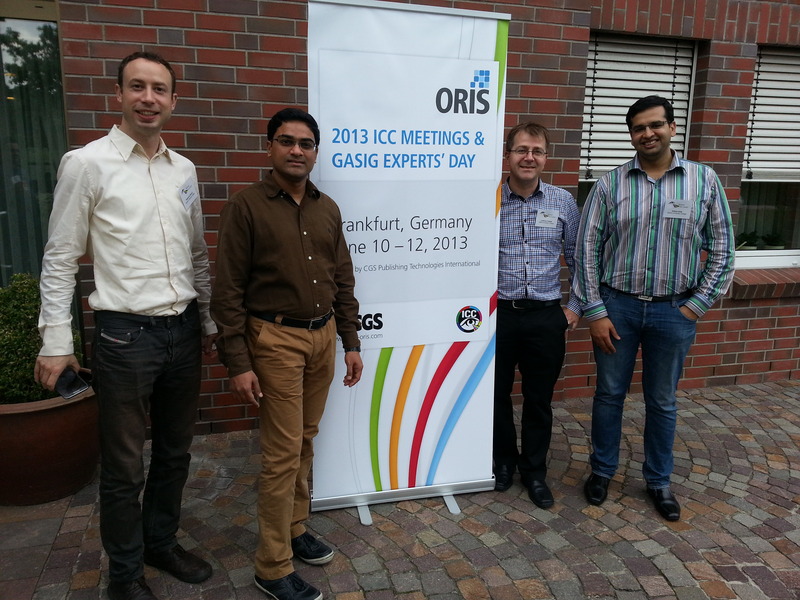 CP7.0 project members Radovan Slavuj, Srikrishna Nudurumati, Ludovic Coppel and Aditya Sole participated in the work group meetings on June 10th and 11th, 2013 and in the Graphic Arts Color Experts’ Day organised by ICC on June 12, 2013 at Frankfurt, Germany. CP7.0 project and consortium was presented at the Experts’ Day by Radovan Slavuj and Aditya Sole giving information on the research being carried out in the project and the FP7 Marie Curie ITN funding received for the research from REA, Brussels. For more details please click here.